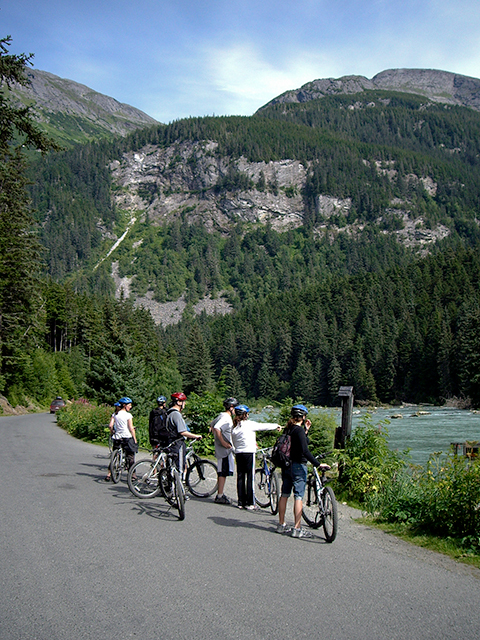 Enjoy a scenic bicycle ride along a glacial fjord to salmon spawning grounds overlooking an emerald lake! You begin your ride along the ocean shore of Lutak Inlet, then follow the riverbank to Chilkoot Lake. Eagles and bears are often feeding on salmon in the river that connects to the glacial lake. Cost: Adult $89 Child (10 - 12) $69. Add $73 for round trip ferry from Skagway. Restrictions: Minimum age is 10 and minimum height is 4' 6". Tour may not be available on Wednesday's as most space is reserved by the Holland America ship in Haines. Please check onboard for the tour if you are traveling on that ship. Enjoy a scenic bike ride along an ocean estuary to salmon spawning grounds in a glacial lake! We'll meet at our bike shop and fit you to a bike. Departing town, we cruise along the flat paved road carved into the steep-walled fjord. As you pedal along you might spot bald eagles, salmon, whales, sea lions, seals, and even bears. Your journey takes you to the end of the inlet where the Chilkoot River joins the ocean and salmon congregate for their ancient quest to reach the spawning grounds. 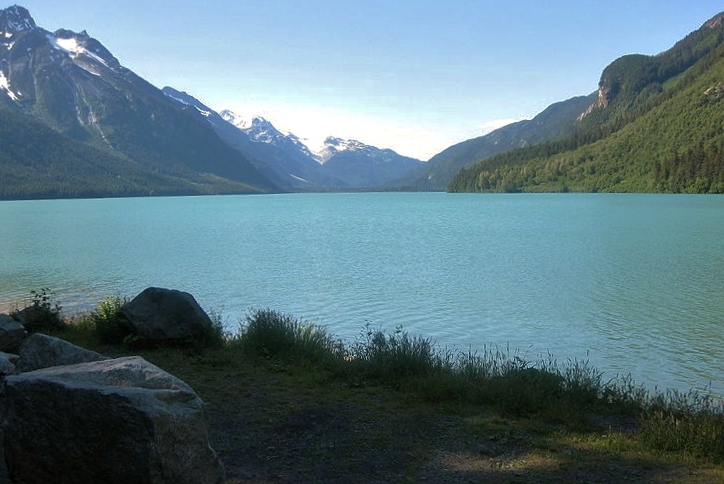 You ride along the river to Chilkoot Lake, the spawning ground for the Sockeye Salmon. Take in the gorgeous views across the emerald lake, surrounded by glaciers, waterfalls, and jagged mountain peaks. 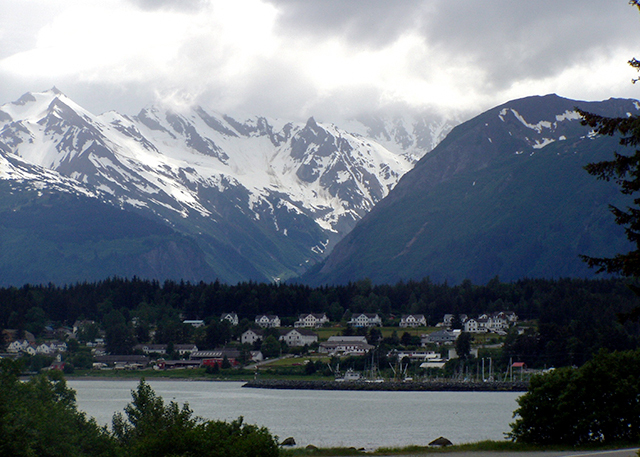 This is a wonderful way to combine fresh Alaskan air and mild exercise in beautiful Haines, Alaska. You return by van to town. 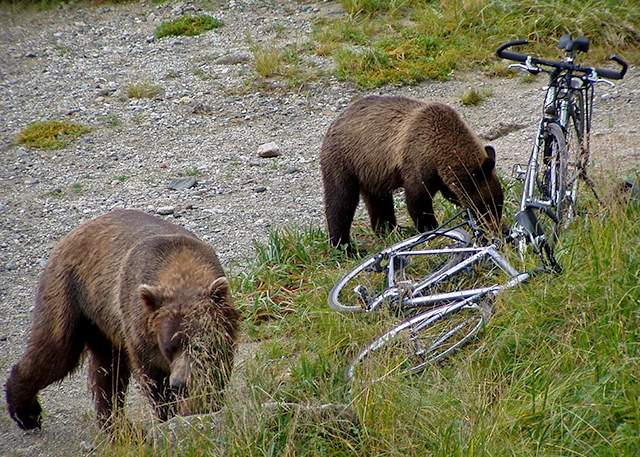 Excellent opportunities for wildlife sightings, bears are often sighted on this tour. Experience three local ecosystems: ocean, river and lake on one bike ride. An easy way to get some exercise, flat riding, no hills! Notes: Participants must be confident riding a bicycle with handbrakes for approximately nine miles. Helmets are required. Participants must be at least 10 years old and 4’ 6” in height. Sport shoes and layered clothing are recommended. Rain jacket, pants, and fleece gloves are provided.